More juicy information has surfaced about Samsung's upcoming Gear smartwatch thanks to the release of the wearable's SDK. In addition to a circular face - a first for the company - it's been revealed a rotating bezel will be added to the mix. The Apple Watch has a rotating crown that serves a few different functions like app selection and scrolling, but the ability to move the whole bezel sounds more versatile. Some analogue watches traditionally make use of rotating bezels for timers or even diving to keep track of air supply. When applied to the new Gear smartwatch, the possibilities range between navigating the software, selecting in-app values, zooming in and out of pictures and scrolling or switching between apps and more. 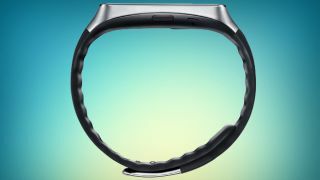 Codenamed Orbis, or Samsung A, the next iteration of the Samsung Gear is looking more and more appealing though not much has been revealed beyond the snippets from SDK's. The Apple Watch is out now - will you be getting one?